Home AFRICA Libya: Elections to what structures? Libya: Elections to what structures? The four key leaders in war-torn and disorganized Libya met in Paris on 29 May 2018 for a summit organized by the French President Emmanuel Macron. In addition to France, there were the representatives of 16 other States, the United Nations and the European Union. The high-level meeting was a reflection of the fear of many governments that the disorder in Libya facilitates the flow or refugees and migrants trying to reach Europe. Although the condition of migrants trying to cross Libya often ends up close to slavery, the flow continues and is likely to increase during the summer months. There is a need to rejuvenate a very weakened economy and to create appropriate structures of government in a highly polarized political situation. The 10 December elections should be both Parliamentary and Presidential elections, with, it is hoped, a constitution drafted prior to the elections. In an ideal situation, appropriate structures of government are written into a constitution, a legal document from which the system of rules derives. Elections are held to fill the posts designated by the constitution. Constitution making should involve a process of national dialogue, allowing competing perspectives, a step toward reconciliation. In some States, a change of the ruling members does not require a new constitution. The basic structures of the government were considered adequate, but the leadership and higher administrators had failed to keep the trust of the people. 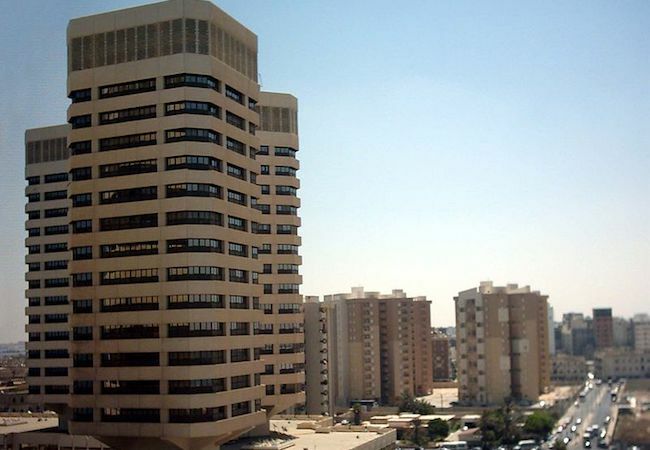 However, in Libya new forms of government structures must be discussed and agreed upon. There cannot be a return to the earlier Italian colonial structures, nor to the forms of government at independence developed by King Idris al Sanussi which depended largely on his role as a religious leader using religious orders, nor the complicated pattern of “direct democracy” developed by Muammar al Qadhafi. The post 2011 Libyan society faces large and complex issues. Resolving the institutional, economic and political issues is urgent and cannot be settled by elections alone. There are three distinct regions which must have some degree of autonomy: Tripolitania and Cyrenaica both bordering the Mediterranean and Fezzan in the southern Sahara. Within each of the three regions there are differing and often rival tribal societies which are in practice more kinship lines than organized tribes. There are differing economic interests and there are differing ideologies ranging from “Arab Socialism” to the Islamist ideology of the Islamic State which has spread from its Syrian-Iraqi base. It is not clear that a constitution taking all these factors into consideration can be drafted before 10 December. However, the Paris conference was a positive first step. We who are concerned with appropriate forms of government need to watch the process closely. Will the USAID’s shrinking hasten demise of democracy? Raise your glass my friend and let us celebrate!